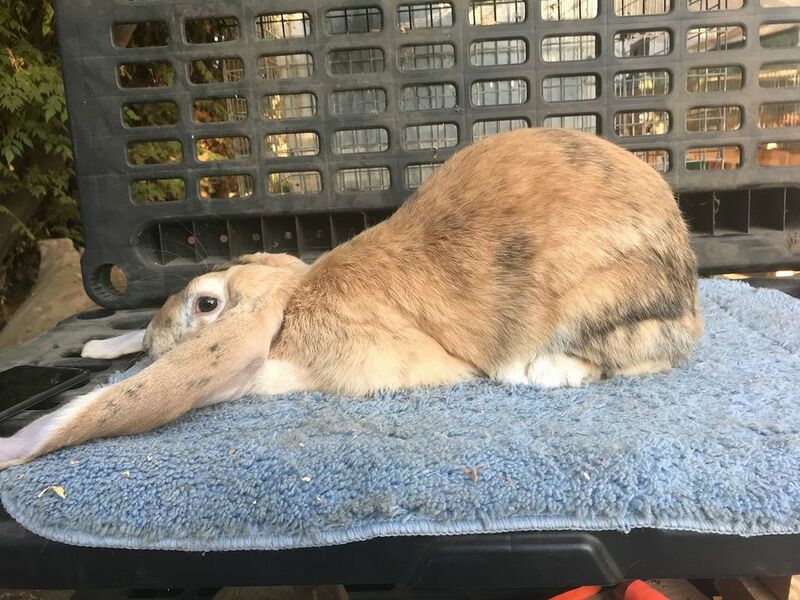 Each breed of rabbit is unique, but all of them fall into one of 5 main categories of body types. Here are the 5 body types below. This is important information, especially if you are in 4-H or FFA and plan on doing Rabbit Showmanship! Photos are not mine, they are from the American Rabbit Breeder's Association website (www.arba.net). Compact breeds are in general the smallest breeds. They are small, short, and cobby in body shape. 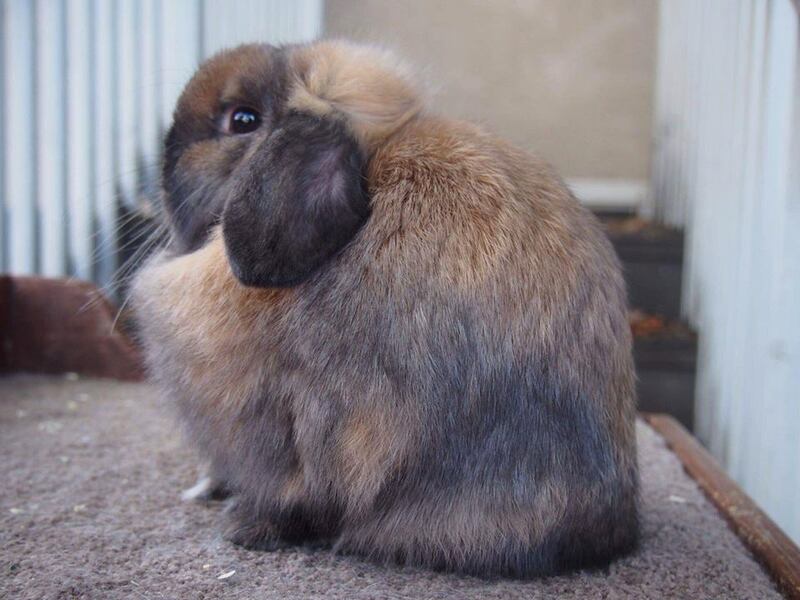 Most compact breeds pose in a rounded ball with the head down, with the exceptions being Holland Lop, Netherland Dwarf, and Lionhead, which all pose with the head up. The compact breeds are: American Fuzzy Lop, Dutch, Dwarf Hotot, English Angora, Florida White, Havana, Holland Lop, Jersey Wooly, Lilac, Lionhead, Mini Lop, Mini Rex, Mini Satin, Netherland Dwarf, Polish, Silver, and Standard Chinchilla. Commercial rabbits are ones designed to either be meat rabbits, or have the wide, thick appearance of a meat rabbit. They are posed in a round ball with the head down. The commercial breeds are: American Chinchilla, American Sable, Blanc de Hotot, Californian, Champagne D’Argent, Cinnamon, Crème D’Argent, French Angora, French Lop, Giant Angora, Harlequin, New Zealand, Palomino, Rex, Satin, Satin Angora, Silver Fox, and Silver Marten. The Himalayan is the only cylindrical breed. The cylindrical body type poses in, you guessed it, a cylinder shape. The Himalayan is known for being the only breed that can fit inside a Pringles can (but we don't suggest you try this)! Semi-arch, or, mandolin body type resembles the side of a guitar in the gradual slope from shoulder to saddle to high point to hindquarters. These breeds pose in an extended position with the head down. 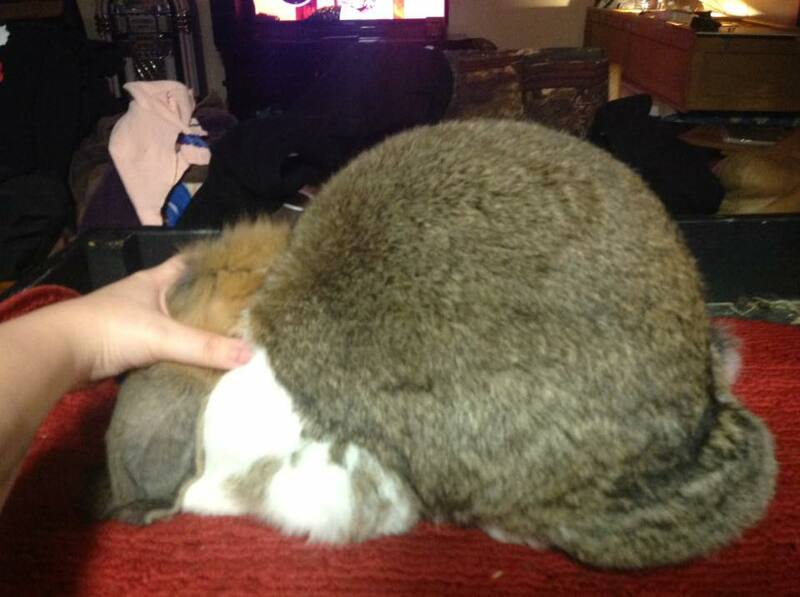 The semi-arch breeds are: American, Beveren, English Lop, Flemish Giant, and Giant Chinchilla. The full-arch breeds have elegant, slender bodies and tend to sit up lightly on their front feet. Some of these breeds are posed on the show table, while some are 'running breeds', meaning they are assessed by a judge while the animal is running up and down the show table. 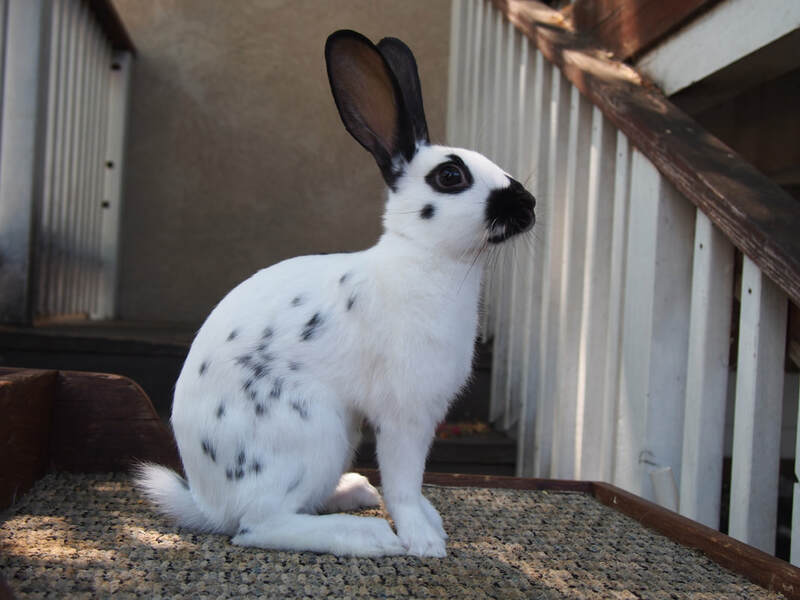 The full-arch breeds are: Britannia Petite (posed), English Spot (running), Tan (running), Rhinelander (running), Checkered Giant (running), Belgian Hare (posed). Thank you to Jessica Larkin, Jayme Stacy, Cheyanne Bihlmaier, Kristine Parker, Samantha Castellanos, Melissa Magee, Lauren Mousso, Tiffany Meeker, Kristina Gerard, Jeannie Rylant, Madison Berta, Chelsea Santarelli, Trinity StGermain, Kyla Gierke, April Chardt, and Sarah Curnes for the beautiful pictures (some on this page, some on other pages). All pictures used with permission of their respective owners. 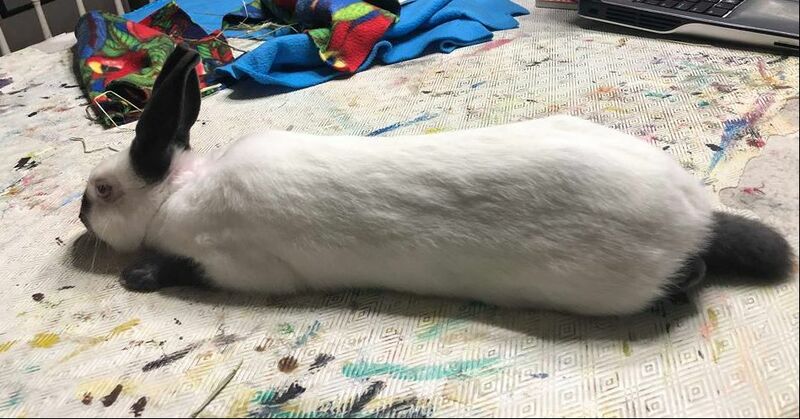 What body type is your rabbit? Tell us below in the comments section!